It’s the FIFA World Cup 2018 fever and a SportsTech startup based out of Bangalore, India launched the inaugural World Football Quiz. This innovative concept is brought to you by SportsWizz League through its app SportsQwizz. Launched in December 2017, SportsQwizz has started getting recognition from sports fans, all over the world. SportsWizz League which already has over a million fanbase through its 3 brands – SportsWizz, CricWizz & SportsQwizz App, considers itself as the pioneer of the budding SportsTech market in India. While it’s other products are websites offering high-quality articles which include sports analytics, expert reviews, opinions, statistics and more, SportsQwizz app, lets the users consume well-researched content in the evergreen quiz format. Till Date, SportsQwizz has over 50,000 app installs most of which the company claims are organic. It also received 10,000 average daily sessions and an average duration of 6 minutes per session. 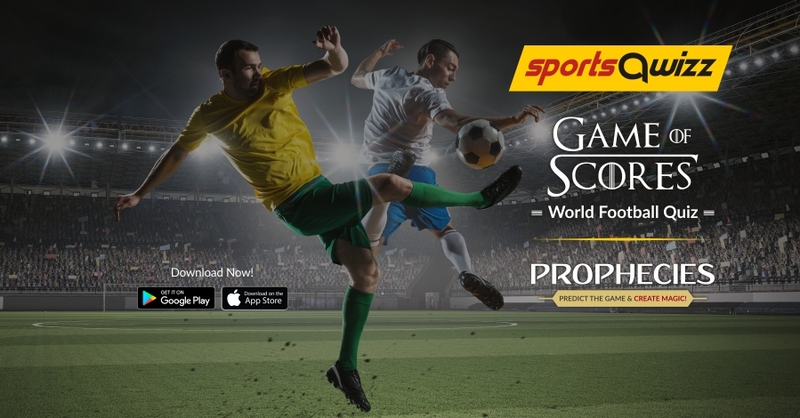 SportsQwizz is running 2 campaigns during the FIFA World Cup 2018, namely Football World Cup Quiz (Game of Scores) & Prediction Game (Prophecies). The Quiz World Cup has had a phenomenal reach wherein the fans represented their favorite country and have tried to be as close to Russia as possible. The Prediction Game is a Platform backed by vast data researched through an association between Sportswizz League and Cornell University. Prophecies aims to cater to a Global Fan Base who like to Predict but not bet during Live Matches. Many countries in the world have huge Football Fanbase but do not have their national teams participating in the World Cup and thus, SportsQwizz provided these fans an opportunity to play for their favorite countries or players and win the World Cup. Next PostThe toughest Man City-Arsenal quiz you’ll ever take!